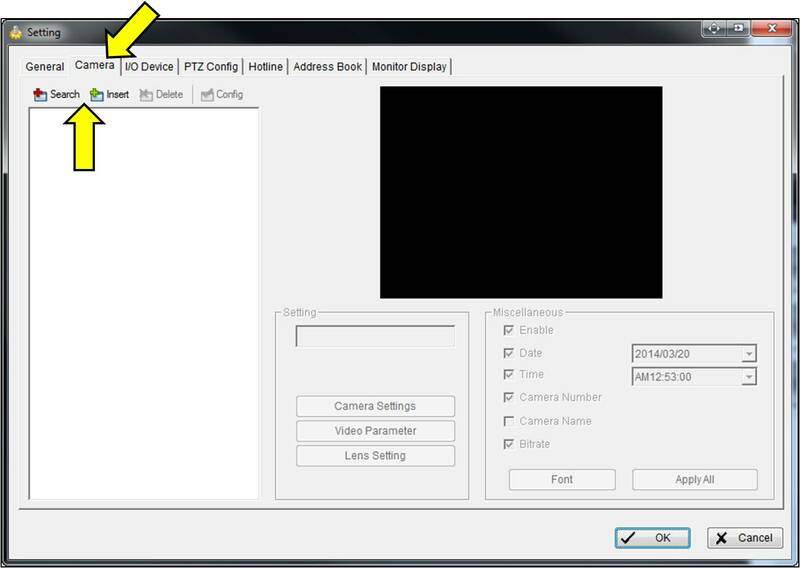 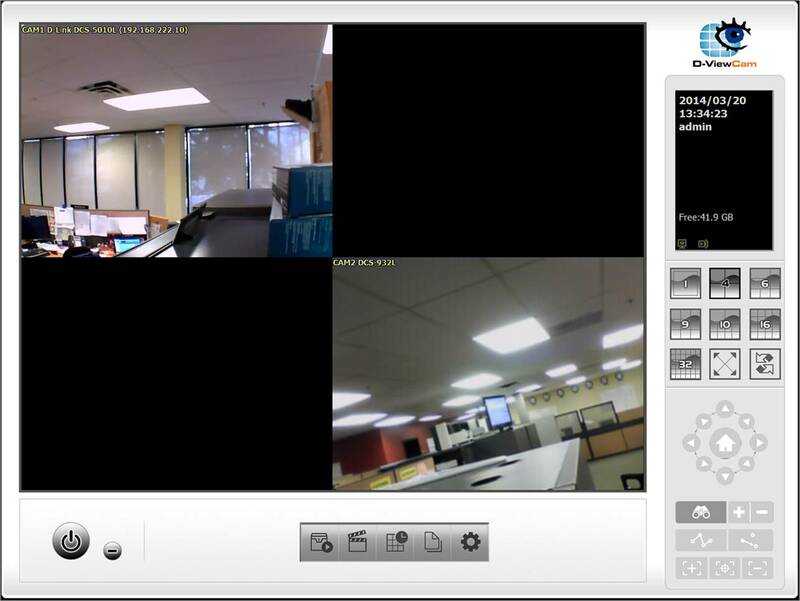 Step 5: If choosing Insert, you will need to manually enter the camera details. 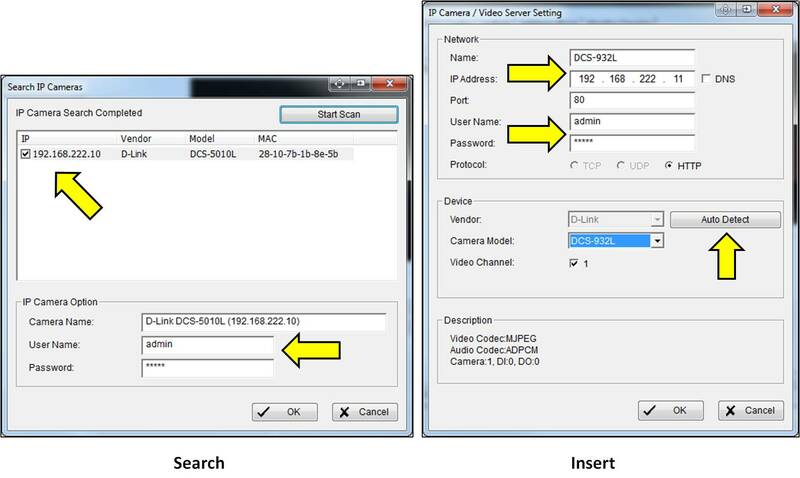 Note: If the camera is located at a remote DNS address select the check box for DNS and enter the DNS address name. 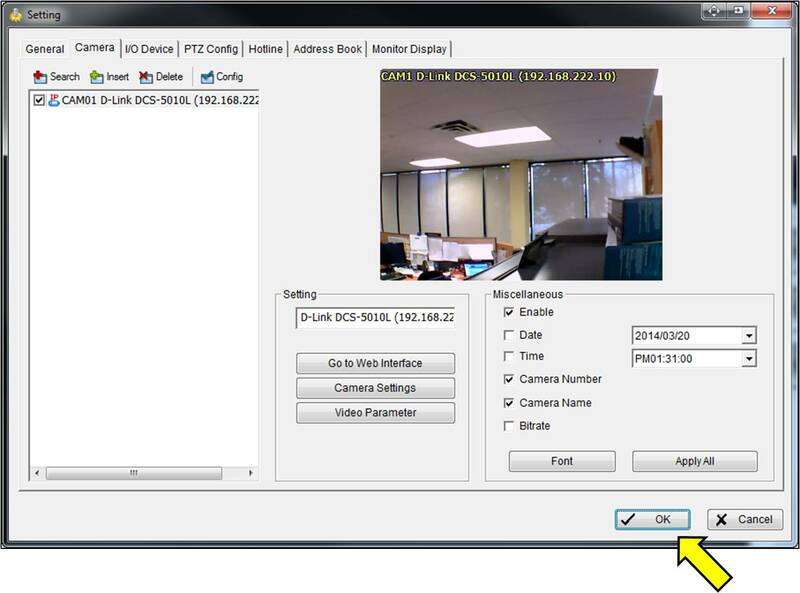 Your Camera(s) should now be visible.